I have been super busy this week renovating my closet/study room, and at the end of the day I am too exhausted to go take outfit photos. 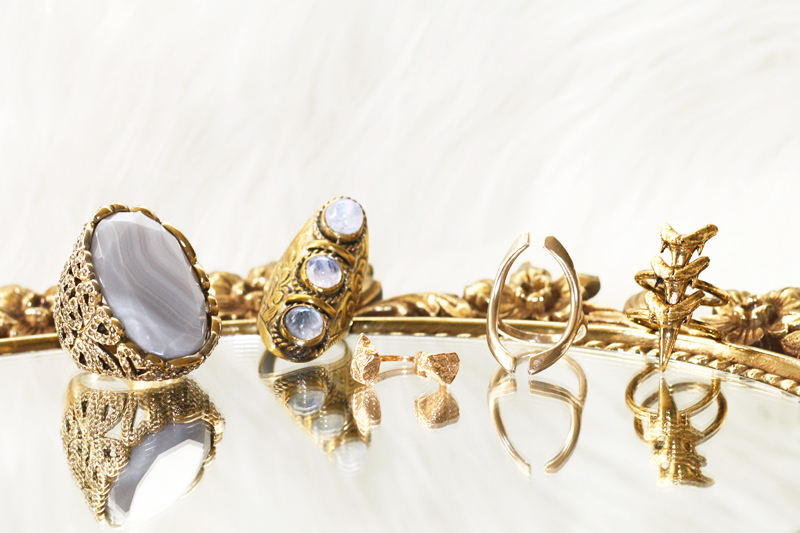 So until then, here are some pretty jewels for you to look at. These are the pieces that I find myself wearing non-stop lately. Enjoy! Peril necklace in bronze c/o Tiffany Kunz. Rose dipped quartz drop necklace c/o Crystal Cactus. Double chevron cuff c/o Eclectic Eccentricity. 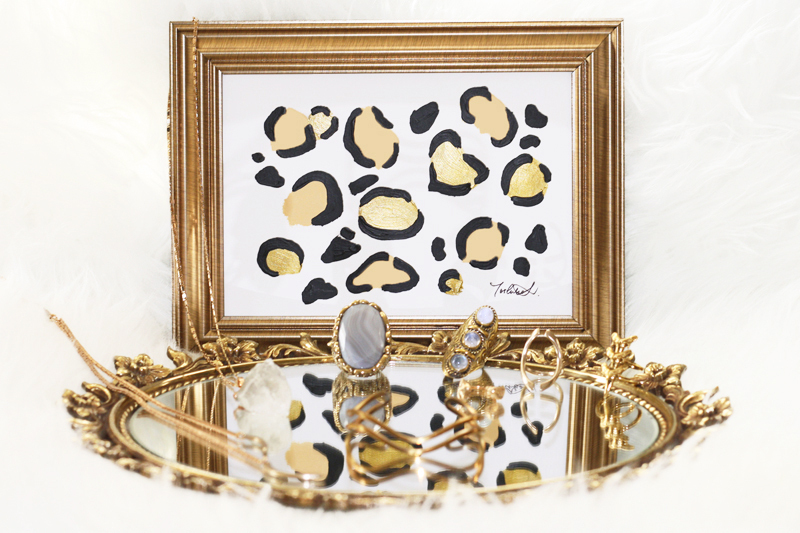 * Leopard print abstract painting by me available at Oh My Dearest. 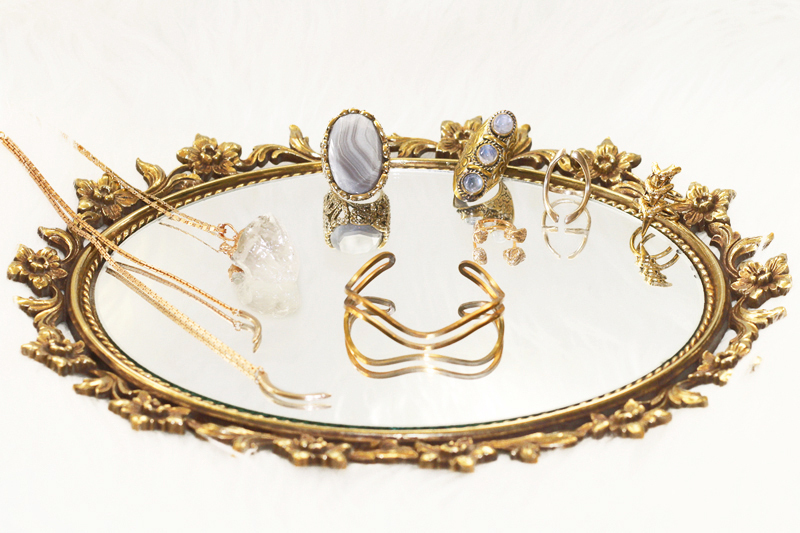 * Vintage vanity mirror c/o Phoebe's Treasure Chest. That mirror is really cool :D It shows some really nice pieces :D have fun renovating!